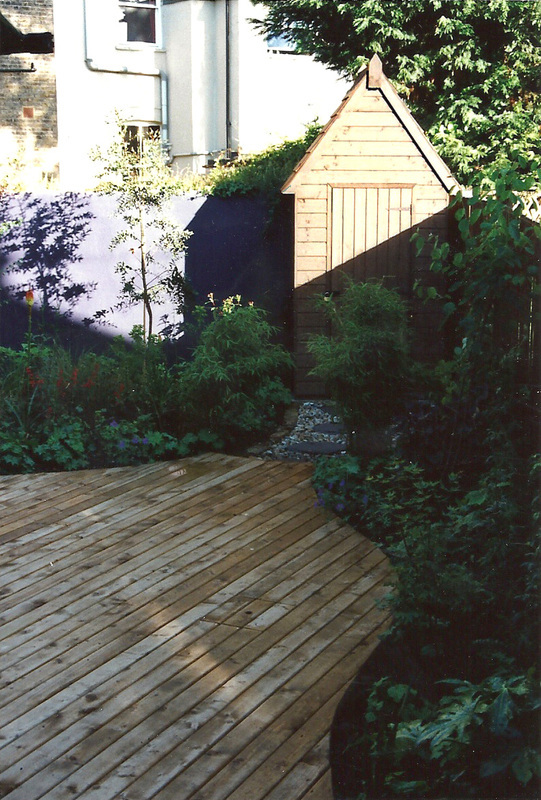 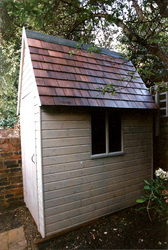 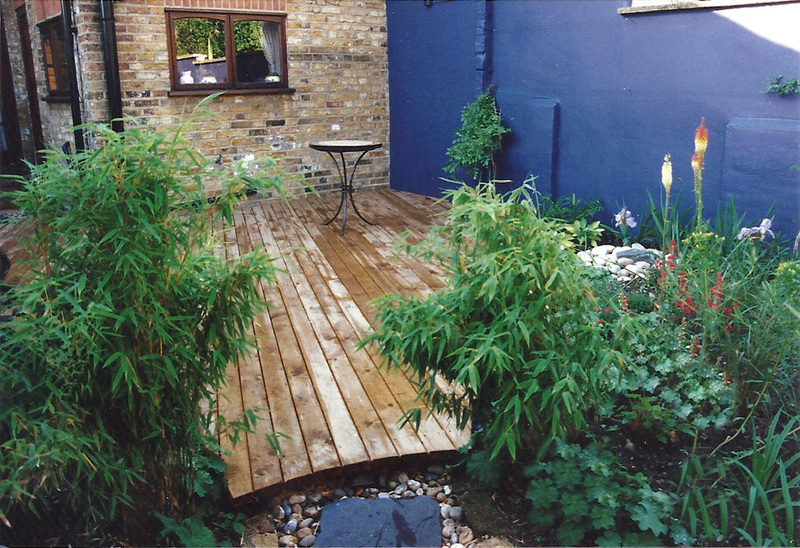 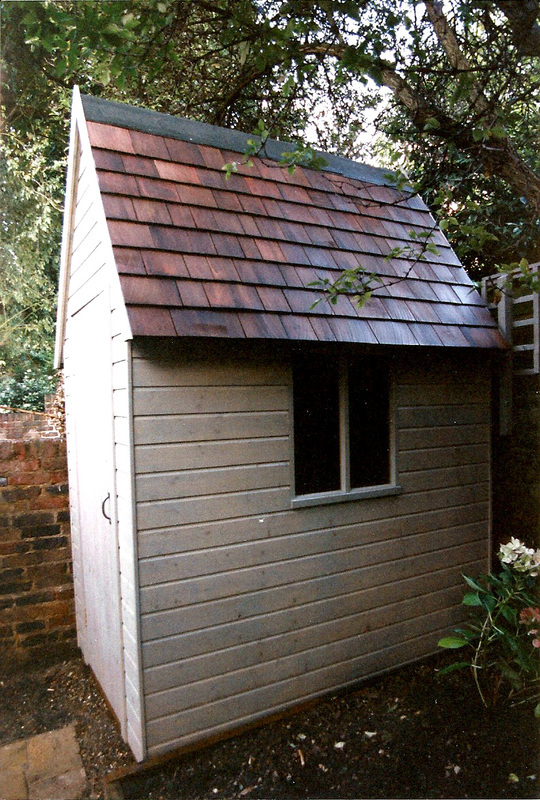 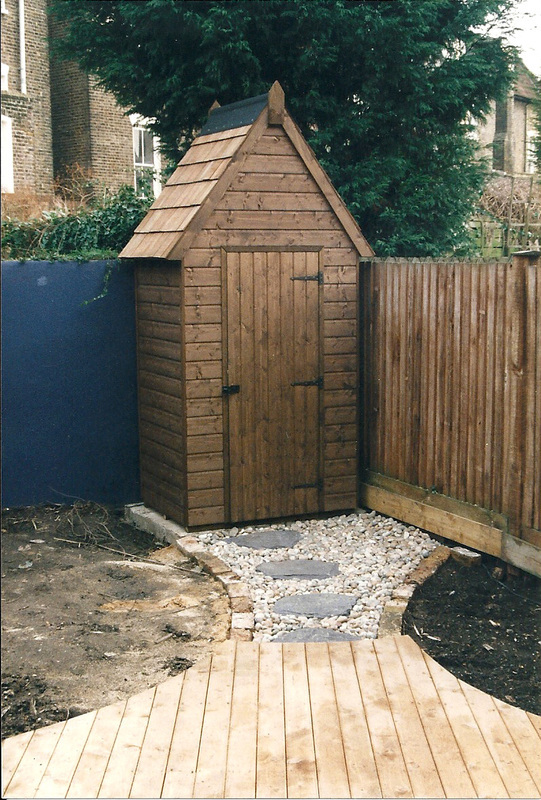 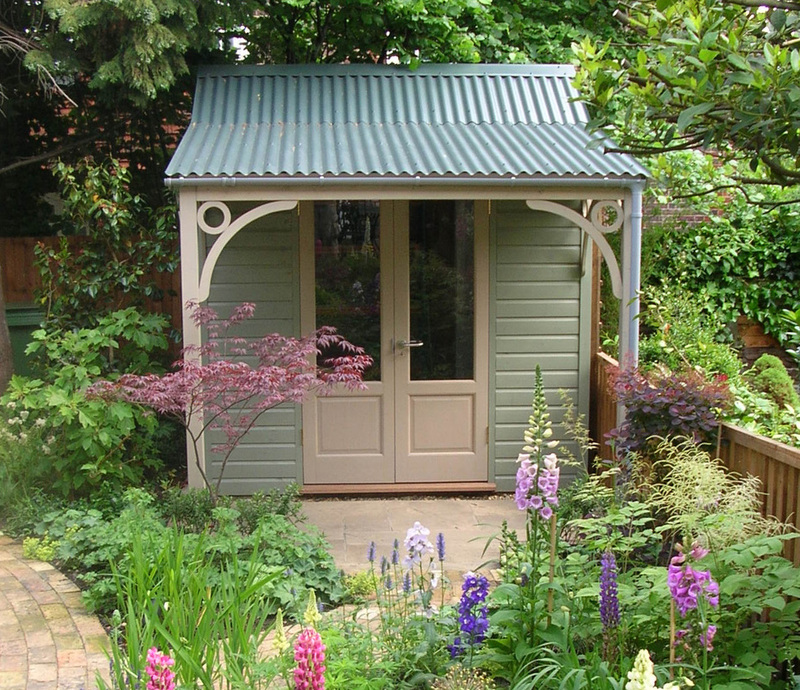 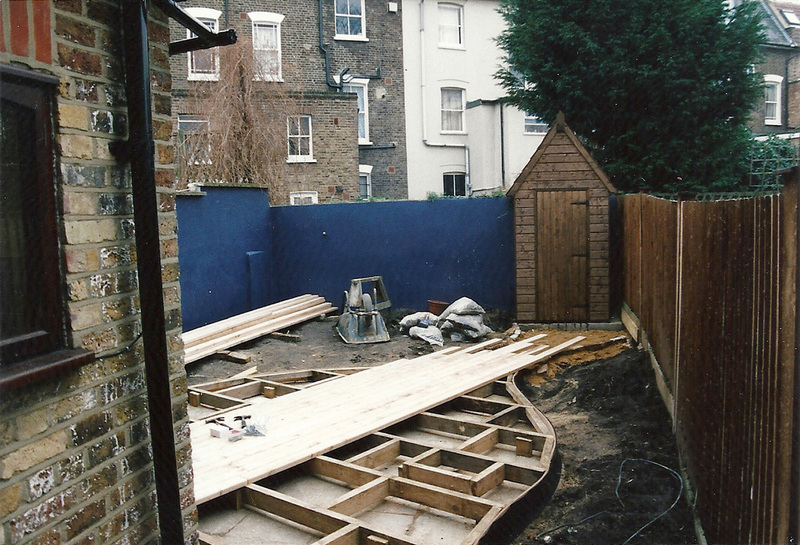 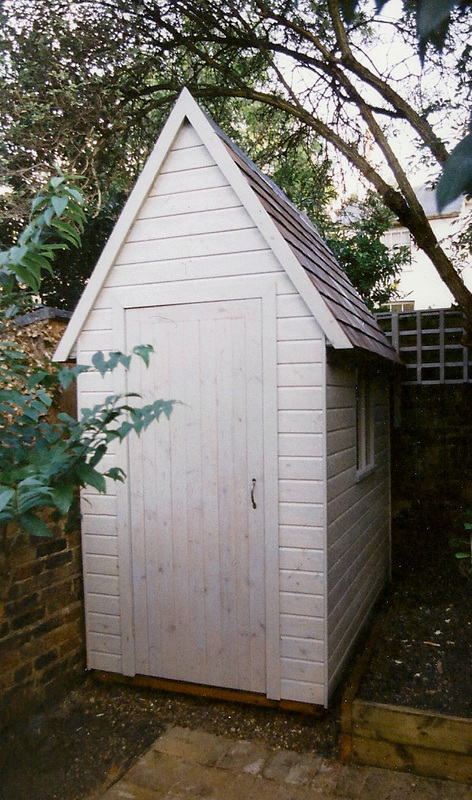 This steep pitched roof shed was part of a 'shaker' garden in north London. 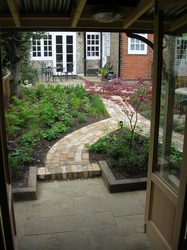 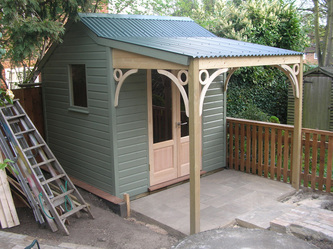 My clients call this 'the shed' though we are all agreed it is something more. 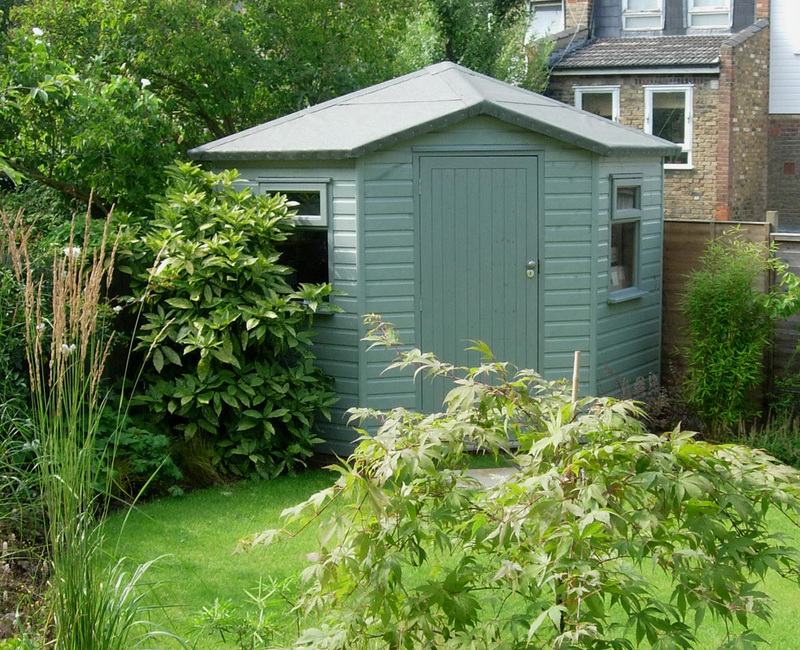 With power and lighting, a fridge/freezer, and a small verandah - now much used for sitting out - This 'shed' is the envy of the neighbours! 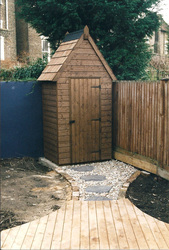 This little sentry hut was all that was needed for the few garden tools required. The client - a keen yachtswoman, was happy with the deck - shaped like the bow of a yacht, and the deep blue walls. 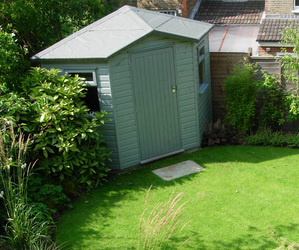 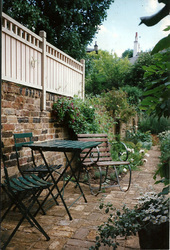 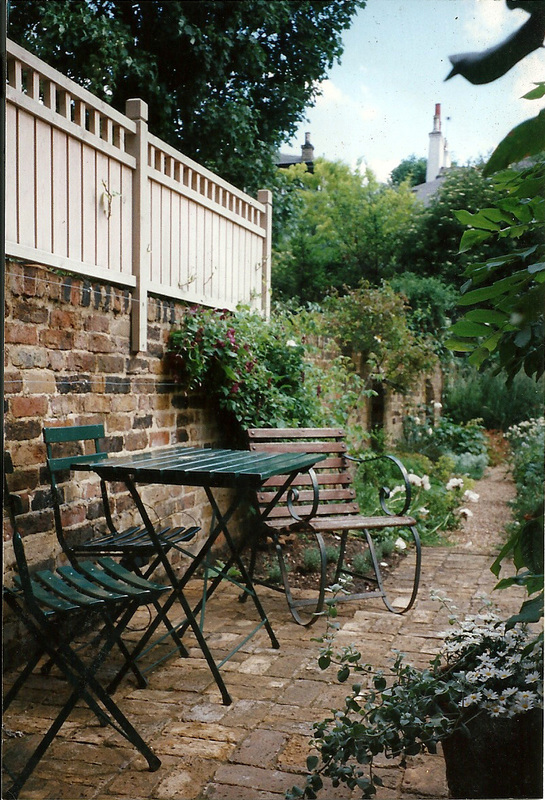 A small, square garden, meant that a good sized square shed would encroach both physically and visually into the lawn. 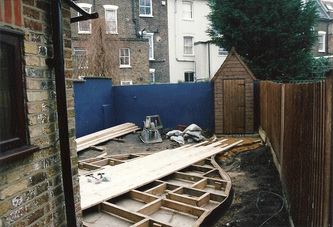 The answer was to slice a corner off. I chose a hipped, square roof, as this gave the shed a symmetry from the diagonal slice. The shed was large enough for the family bikes as well as the usual garden stuff. 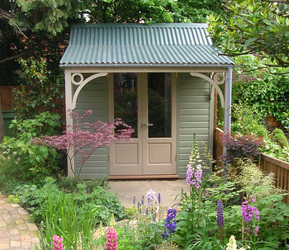 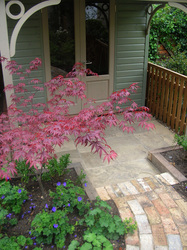 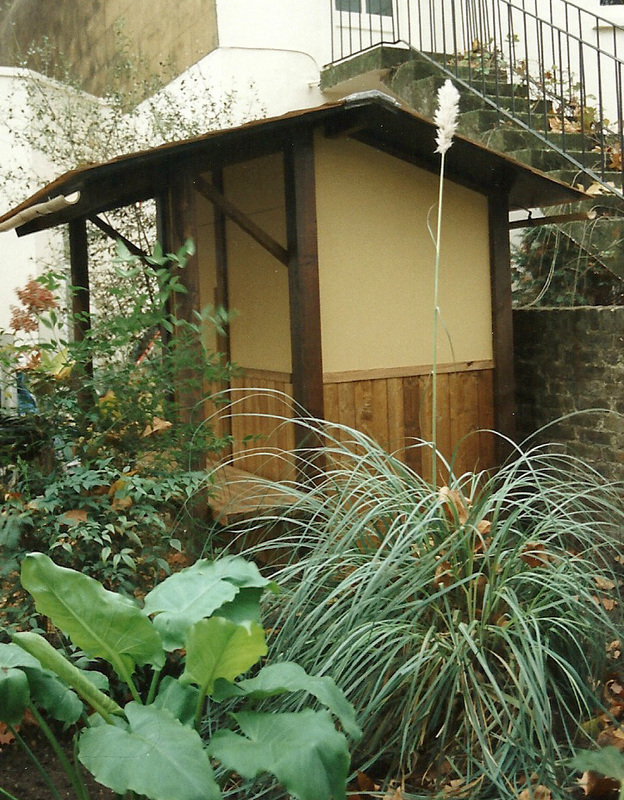 This small shed was to fit into a Japanese style garden. 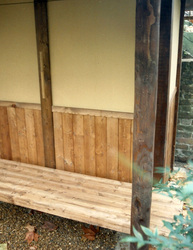 For most of the time it was used as a covered bench. This was easily removed to allow access to the doors.